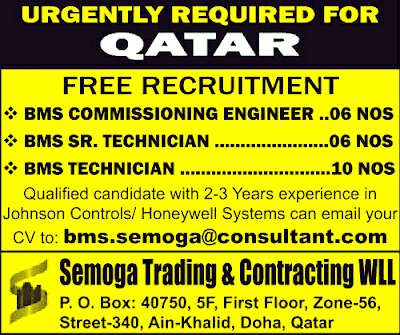 BMS Commissioning Engineers - 06 Nos. BMS Senior Technicians - 06 Nos. BMS Technicians - 10 Nos.